Just because a pizza place has stuck around for a long while doesn't mean its pies are anything special... but mostly it does. We tricked you again, it 100% does! And that's certainly the case with these 21 pizzerias from across the country, all of them continuously in operation since the day they opened so many years ago (we included places that were forced to shut for emergency reasons, but then reopened). Our friend and 'za historian/author Colin M. Caplan, operator of Taste of New Haven, has done exhaustive research for a book slated to be released in 2017 about the "phenomenon of pizza in America through the lens of New Haven," and he points to these spots as being the oldest pizzerias in the US of A. In a day and age where restaurants are open one day and closed the next, the fact that a restaurant can be open since 1936 and still be in the same family (the Bevacquas), is an incredible feat. 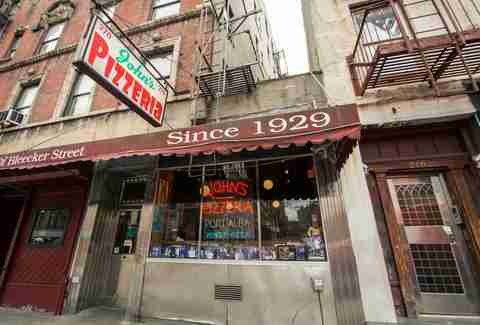 About two hours away from the grasps of the pizza-loving maniacs in NYC, Tony's is loved equally for its 15 taps of beer and its terrific pizza, which varies from a white pizza to a spaghetti + meatballs pie. Is New Haven the best pizza town in the country? Here's another pizza shop co-founded by another former bakery owner -- this time from Neapolitan immigrants. And while it's relocated and expanded (both its menu and its locations) over the years, it remains run by the same family. Originally started by a Naples family that opened their doors with "the first wood-fired brick oven on the West Coast," the restaurant's name and ownership has changed over the years, but the quality of the pizza has remained. An Italian immigrant originally opened DeLucia's in 1917 as a bakery, and added pies in 1935. The spot became a full-fledged pizza shop in 1950, and the no-frills joint is still run by the third and fourth generations of the same family. 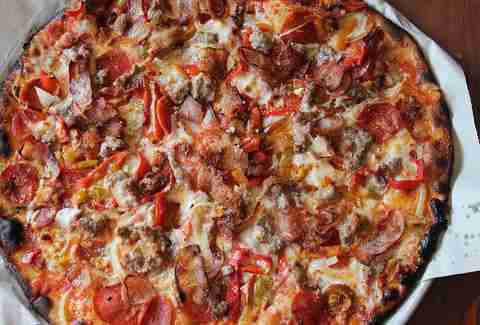 Known in New Haven for its wood-fired pies (as opposed to the coal-fired ones you'll find in other shops in the area), Modern Apizza's menu currently features an Italian Bomb pie with bacon, sausage, pepperoni, mushroom, onion, garlic, and peppers. While it originally started as a bakery in New Haven (holy moly did bakery shop owners love to open pizza joints back then), Zuppardi's moved to nearby West Haven and began dishing out pies in that famed New Haven style. Poor West Haven... no pizza style's named after them. Perth Amboy isn't just known as one of the stops you watched fly by on a New Jersey Transit train. It's also where Sciortino's began -- and though it's since moved to nearby South Amboy -- there's still plenty of quality Italian dishes, including its enormous tray pie. What began as a bar changed to a pizza shop when the original owner went to Boston on a trip and brought a pie recipe back home. According to the lore, no one in Ohio had seen a round pizza before. You can still find this magical round pie at Pizzi today. According to Patsy's, Francis Ford Coppola hung out there in the late '70s and "used it's (sic) ambiance to shape his actor's performances in his blockbuster film The Godfather." If that's not enough of a reason to go there, the pizza also happens to be incredible. While most of the old pizzerias we've written about have been opened by immigrants from Naples, Alongi's was started by a Sicilian immigrant. And while it offers everything from veal parmigiana to toasted ravioli, its thin-crust pies are still a major draw (over 1 million served!). Named as one of the best "under-the-radar" NYC pizzerias by a publication staffed with extraordinarily handsome writers, Sam's continues to pull in pizza lovers with coal-fired pies and old-school decor that suggests it's all about the food. Unsurprisingly also one of the oldest restaurants in Philly, Marra's brick oven pizza is cooked in the same oven the shop opened with, apparently using bricks from Mt. Vesuvius. Sounds like an incredibly dangerous and strange place to source bricks from, but it clearly works. Serving its pizza just like it was back in the '20s (thin crust, square shape), Aloy's also offers plenty of other Italian-American delicacies (veal cutlet, chicken cacciatore) to pair with its pies. 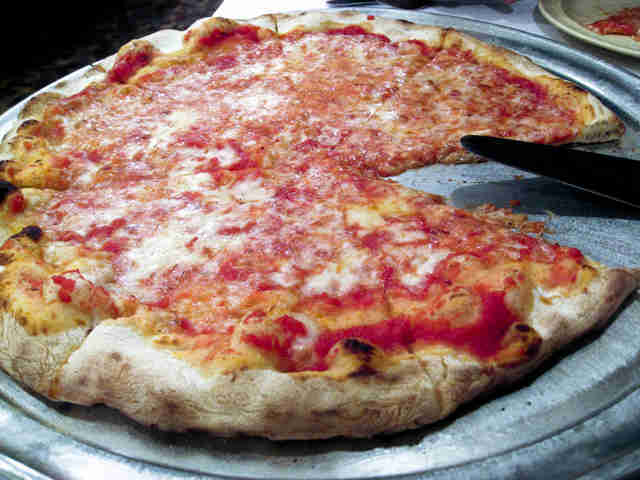 This legendary NYC pizza joint won't let you order a slice or pay with a credit card. While that might be inconvenient, luckily for you/humanity, when you hand over cash for a large, coal-fired pie, you are given the gift of pizza perfection. A Buffalo-area tradition that started back when its football team was called the Buffalo Bisons (did they even use pads in 1927? 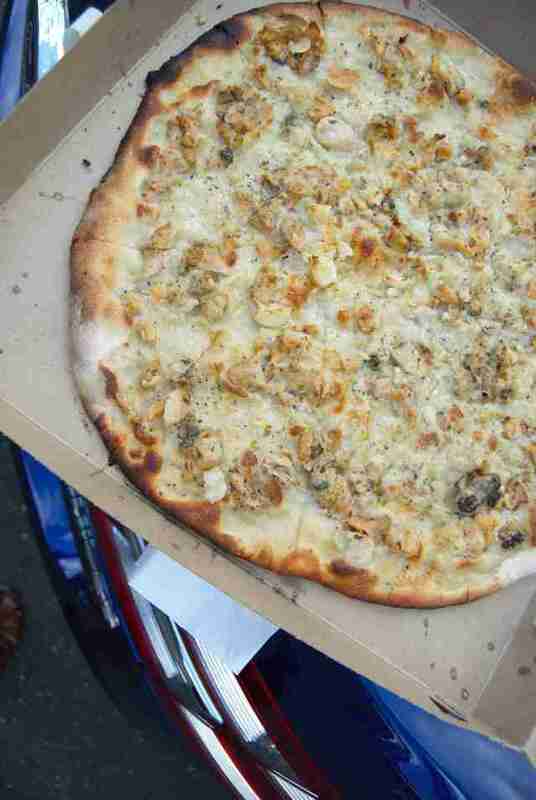 ), these days Santora's dishes out pies like the Chicken Wing Pizza, topped with cayenne, mozz, and bleu cheese. Though it's since expanded to seemingly millions of locations across the Boston area, the original location in the North End continues to pack in the crowds using the same recipe it started with 89 years ago. 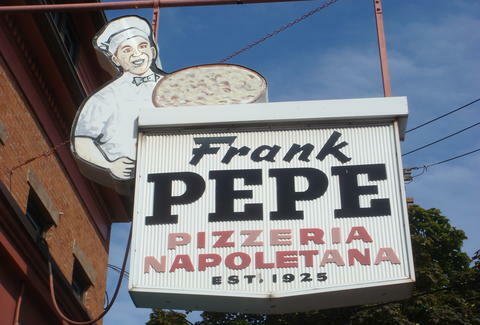 The oldest New Haven pizza joint around (and one of the 33 best pizza shops in the country), Frank Pepe is considered "the big dog" in town, and with two very good reasons: the Original Tomato Pie and the White Clam. Order either and you'll get the same smile on your face people have gotten since eating there back when the world was in black & white. Not to be confused with Totino's, that famed pizza roll company that's never been the pride and joy of Coney Island, Totonno's is open to this day despite two major fires and a hurricane. 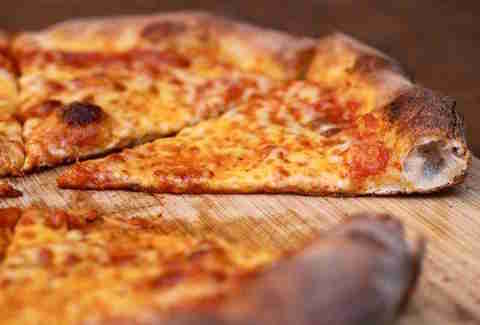 Its thin-crust pies have been around for nearly 100 years, and are considered some of the best in NYC. A Utica tradition and member of the Pizza Hall of Fame, O'Scugnizzo's is known for its "upside down" pizza, where the toppings (sausage, peppers, mushrooms, etc.) go on before the cheese and sauce. Even though it started in 1914, it's moved solidly into the 21st century, as you can order its pies to be shipped anywhere in the continental US via its website. There might be some debate about which pizza shop can lay claim to being around the longest, but for our money (and Colin from Taste of New Haven, who did the hard work to catalog these legendary pizza spots), Papa's is the oldest, continuously run pizza shop in the country. The Tomato Pie is its creation, and it's still churning them out like it's 1912. And its high-quality pies haven't gone anywhere since then: we named them one of the 33 best pizza shops in the country. Lee Breslouer is a senior writer for Thrillist and could really go for a slice right now. Follow him to a mushroom pie at: @LeeBreslouer.